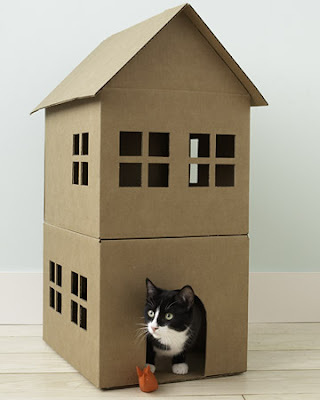 If you have a cat and feel like pampering him/her with what you may dream of living in, you may like this tutorial that teaches you how to turn cardboard boxes into a mansion. This makes me wish I were a cat! This is the cutest inspiration. Thanks for sharing. Laissezfaire is a member of Design Asia, a network of Asian design blogs. Do visit these other lovely blogs listed below.